After the past couple of days I was a little concerned about how Kate would respond to the Chamber concert today. As it turns out, she loved it. We had seats on the third row in the center of the orchestra. The artistic director is outstanding. His humor and enthusiasm bring a lot of life to something that many people consider a drag. What is even more surprising is that the first two pieces (out of a total of only three) the group played were contemporary pieces with all the characteristics that are implied by “contemporary.” If we had been listening on the radio, we would have quickly changed stations. As it was, we were both engaged. I think we were heavily influenced by the opening commentary about the pieces as well as being so close to the performers who were outstanding. It was truly an excellent performance. An interesting sidelight is a story told by the percussionist. Among the instruments he played today was the vibraphone. He said that when the group had their first rehearsal last week, he was surprised at the sight of the vibraphone. When he examined it further, he discovered it was the very same instrument on which he took his first lesson on the vibraphone many years earlier. Let me also take a moment to repeat something I have said before but seems like it is becoming a stronger habit, Kate’s asking my permission to do things. About thirty minutes ago, Kate asked me if she could close her eyes (that rest) for a few minutes. I told her that would be fine. Shortly thereafter, she got up and went to the bathroom to brush her teeth. When she returned to the room, she asked if she could use her iPad. As always, I told her that would be fine. I do realize that by telling her that it is all right may reinforce her emerging habit. I do, however, sometimes say they she doesn’t need my permission. In this case, I did tell her that I didn’t want her to think I want to control everything she does. Since Kate’s diagnosis 6 years and 4 months ago, I have contemplated the future and what life would be like. At that point, I never imagined that we would be able to do and enjoy life so much. Today I am beginning to see more clearly that time when we won’t be able to do so much. In fact, that time is really upon us. The first time I can recollect feeling that way was on our Caribbean cruise in January 2016. I had signed up for that cruise as a test to see how Kate would do before committing to a longer Mediterranean cruise in May of that year. I discovered that Kate did not seem to enjoy the cruise. As I recall, she didn’t attend but one night of the entertainment after dinner. That is something she has always enjoyed in the past. I think she also found it challenging to be with different people at dinner each night. Fortunately, she continued to get along well once we were home. I cancelled the Mediterranean cruise reservations. Over the past six months or so, I have noticed, and expressed in this journal, that she seems to be getting less pleasure from movies than she did in the past. There have been notable exceptions. For example, she loved Hidden Figures that was about the team of African American women mathematicians working in the US space program. More recently, she has been getting less out of other types of performances. I was really disappointed when we had to walk out of Der Rosenkavalier starring Rene Fleming this past Saturday and another local theater performance a day later. We are in Asheville to celebrate our 54th anniversary. I have kept our schedule to a minimum. We’ve only had tickets to one event each of the three days we are here. As I mentioned earlier, we ended up not attending a concert yesterday. It turns out that we have spent our time mostly in the hotel and eating several nice meals. Even that has been rewarding for me. I think it is clearly less rewarding for Kate. I have the feeling that she would be happier at home where she could work in the yard in addition to her iPad. At this moment, she seems contented. About 15 minutes ago, she was getting tired of sitting in the lobby after breakfast working on her iPad. I asked if she would like to go back to the room. She said she would. As we approached the room, we saw that the maids were about to go in and clean up. We told them to go ahead. We came back to the lobby where we are sitting on a sofa. It is rather comfortable. We have reservations for lunch at 11:30. Following lunch, we are attending a chamber concert. Then we will come back to the hotel to pass more time before dinner this evening at a restaurant that is very near the hotel. We leave for home in the morning. I would like to have lunch first and then go home. We’ll see what happens. It probably depends on how early Kate is up as well as how eager she is to be home. The last time we were here (September), we ended up going home after breakfast and eating lunch in Knoxville. I suspect that is what we will do this time. We leave for Texas on Saturday. I hope that the travel this week does not cause added confusion while we are there. This year I have planned an unusually leisurely few days while in Asheville. A year ago, I had done somewhat the same. At that time I was not expecting to be here this year. We are fortunate this has worked out. I have great difficulty imagining, however, that we will return next year. As I have noted in other posts, I believe she is feeling further detached from all that is going on around her. That makes the total experience for both of us less rewarding than it has been in the past. On the other hand, we are able to enjoy meals out and catch a few performances. I enjoyed Waiting for Godot yesterday. Although Kate did not feel the same way (She said, ”This was not my kind of play.”), she never seemed bored as she sometimes does; so I feel it worked out. This morning I noticed that the door to our room was not fully closed. It appeared that she had tried to open the door and was stopped by the security latch that I had engaged last night. One of the things that scares me a bit is the possibility of her leaving the room at night without my hearing her. I don’t believe she can operate the security latch. At the same time, I never know; so traveling like this has a few extra stressful times. We are both enjoying being back at the Haywood Park Hotel. As we walked up to the front desk, the woman on duty recognized us and greeted us by name. Kate and I are in Asheville at the Haywood Park Hotel where we are celebrating our 54th anniversary . We drove in yesterday about 11:30 and had a nice lunch. Then we came back to the room for a couple of hours before taking a stroll around the downtown area where we visited a couple of bookstores. It is 3:00 a.m. I woke up almost 45 minutes ago and haven’t been able to go back to sleep. I had forgotten to leave a light on before going to bed last night. I got up and turned the light on in the bathroom. That gave me quite a jolt imagining how Kate would have felt if she had waked up in a strange dark room. It’s not that there have been any dramatic changes in her condition, but she continues to decline little by little. She has displayed more signs of confusion lately. Each time she does something unusual it reminds me that even I begin to believe she is doing better than she is. This is not the first time that I have waked up in the middle of the night and let my thoughts wander thinking about her and how we will handle the future. I have something of a panicked feeling thinking about leaving her alone when I go to various meetings. I really need to make contact with an in-home service soon. I still plan to utilize the services of our housekeeper at the start. Recently I asked her to come on a Monday when I had a Rotary meeting. She has two Mondays a month when she could do this for me. That is the only regular meeting that I feel I must continue. I can skirt around the others for church, United Way, and the foundation. I am going to stop now. I will continue my thoughts tomorrow. Right now I want to try to get some sleep. For quite a while I have noticed that Kate often does not recognize people in photos. I have attributed all of this to challenges with her vision. An experience this week has made me question this conclusion. While at Panera the other day, I showed her a couple of pictures of our grandchildren, Brian and Heather. They were pictures that Rachel had posted on Facebook. The pictures I showed her were very clear and large enough that she should have been able to tell who they were, but she had no idea. The other involves another grandson, Randy. Jesse sent a text the other day with a picture of him with his new braces. She didn’t recognize him. I didn’t think that much about it at the time because it was a close up taken with a phone; so there was some distortion that could have confused her. That may be what caused her not to recognize him, but I wonder if she is just forgetting the visual images of people who are close to her. I don’t mean to suggest that she has forgotten that she has grandchildren and how many she has. More specifically, I think this is a forgetting of what they look like. I should note that they all live out of town; so we don’t see them on a regular basis. We see the ones in Lubbock about two or three times a year. The same is true for the twins who live in Memphis. Although I have mentioned for months (years?) that Kate’s short-term memory is going, my words are unable to capture how poor it is. For example, yesterday she put her yard clippers in the right hand side pocket of the passenger door. I asked if she thought we could remember where she had put them. She said, “I’ll remember.” Then she paused a second and said, “I don’t even remember right now.” I probed, and she hadn’t remembered. We also had one of our more common experiences yesterday. This time it was she who was talking about someone. Then I said something about that person. She didn’t know who I was talking about and, once again, thought that I was being unclear. Some confusion is not new, for example, she still asks if we are “staying here” tonight. Yesterday she also showed me her clippers after coming inside and asked what I wanted her to do with them. I told her she could keep them in the garage where she usually keeps them. It was clear that she didn’t remember. I asked if she would like me to put them up. She did. Along with the confusion, she is giving up some of her independence and frequently asks for permission to do various things. Most often that means working outside. It also occurs in the evening before we go to bed. She is usually in her chair and I in mine. A typical example would be that she asks, “What do you want me to do now?” I might answer that it is getting time for bed and that she could put on her night clothes. Occasionally, she really surprises me during the day when she asks that question. Sometimes I tell her she could work on her iPad. Then she does. Since she works on it so much, it always seems strange that she would accept my suggestion as though she had never thought of it herself. On several recent nights, she has either asked if I would get her a night gown or readily accepted if I asked if she wanted me to get her something to wear to bed. For most of the time since Kate’s diagnosis, I have planned to speak to groups about our experience. Until recently, I hadn’t done anything to act on this desire. Almost a year ago, I mentioned it to the program chair for our Rotary club. I spoke the club this past Monday which is the first time that I have spoken publicly. My presentation also went well. I could tell the audience was engaged. When I was finished, our president told me that he watched them very carefully as he does every week. He also sensed they were engaged. One person, a retired bishop of he Lutheran church of Tennessee, shook my hand and wanted to tell me something. He was so emotionally touched he couldn’t get out the words. I received quite a few hugs from those who spoke to me including a number I hadn’t thought of as huggers. Since the meeting I have seen a number of other people who had heard me speak and made complimentary remarks. All this is to say that I feel good about my initial effort. Although I was reasonably confident this would be the case, I still wondered if the audience would be interested. I have now answered that question. Now I will start thinking about when and where to speak again. 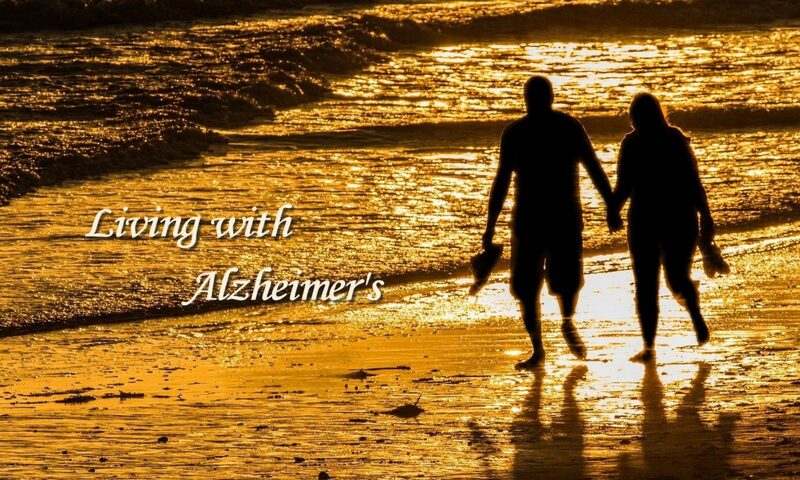 I had already established contact with two people at the local Alzheimer’s Association. They know of my interest in speaking and/or meeting with support groups. I have also spoken with and visited the director of a local center for caregivers. In addition, my relationship to our major hospital system may present opportunities as well. There may also be possibilities through churches and through Kate’s doctor’s primary care practice. They have a couple of social workers who work with caregiver support groups in town. Kate and I just returned from a local theater where we left another performance at intermission. This is only the second time we have ever left a performance. Yesterday’s Live in HD at the Met was the first. The interesting thing is that they had something in common. Both were farces, something that Kate does not enjoy. In each instance, they were “bedroom” farces. I do enjoy farces when they are done well, and yesterday’s and today’s performances were quite good. The Met, of course, was especially good. Neither was good from Kate’s perspective. This makes three performances in three days that she didn’t care for, and I know she couldn’t follow. I can’t help believing that it also may be a sign that Kate’s further decline. I don’t intend to immediately discontinue trying to find things that she will like, but I will be more careful in my selection of things we attend. I must admit that this also has an impact on the way I feel about the way things are going. Right now I am feeling a bit discouraged. It is interesting that this occurs the day before I make my first public presentation about being a caregiver for someone with Alzheimer’s. I had been a little concerned that I was going to be overly optimistic. I wonder if this will cause me to be more balanced.